Alessandra Schneider Leupold began her violin studies at age nine under the instruction of Margaret Banks. Having dual interests in music and psychology, Mrs. Leupold pursued a degree in Music Education at the University of Delaware. She continued her studies at the University of Maryland, where she received a Master of Music in Violin Performance and Suzuki String Pedagogy under the instruction of Ronda Cole. Mrs. Leupold has been an active educator in the greater D.C. area since 2006. She has held positions teaching violin at the Anne Arundel Community College, the Academy of Fine Arts, and Music Kids. Currently, Mrs. Leupold is director and teacher at the Animato Suzuki Violin Program. 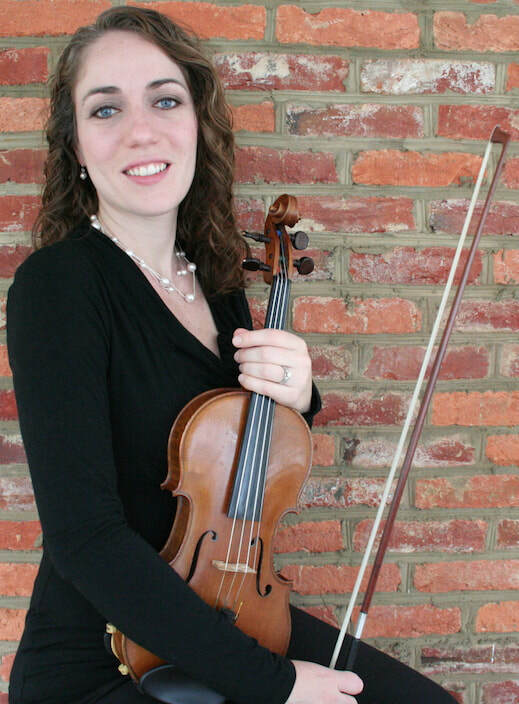 To help promote string education, she is a member of the Suzuki Association of the Americas, Suzuki Association of the Greater Washington Area, and served on the board as Membership Chair for the local Chapter of the American String Teachers Association. In addition to teaching, Mrs. Leupold enjoys performing as a free-lance musician. She regularly plays with the Annapolis Chamber Orchestra and the Severn River Piano Trio. Other performances include the Londontowne Symphony Orchestra, Inscape Chamber Orchestra, Dover Symphony, and the Anne Arundel Community College Orchestra (where she served as principal second). For more information about the program or the Suzuki Method please contact me.